Happy January! Unlike several of my Maine Crime Writers colleagues who’ve escaped to other climes, I’m still in Maine. Yes, it’s cold, on many days. Yes, there’s been snow on the ground for a month now — although very little, compared to other years. And, yes, I’ve just sent the sixth in the Mainely Needlepoint series (Thread the Halls) to my editor. Maine Januarys are not for porch sitting or gardening or eating lobster on decks overlooking harbors. Maine Januarys, for me, are time to clean out files (and my house,) take a first stab at taxes, update my website, and start on my next book. And — oh, yes! Read books, not for research or obligation, but for pleasure. I’ve been saving some up for just that purpose. So — here goes. Here are a few of the books I’ve read in the past couple of weeks. Maybe one or more will go on your TBR (to-be-read) pile. 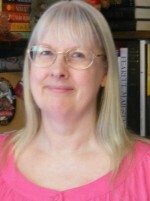 Kate Flora is a fellow Maine Crime Writer, and I’ll admit I’m her fan as well as her friend. LED ASTRAY, the latest in her Joe Burgess series, is her best yet, and right in tune with today’s headlines. Joe has settled into a long-term relationship, complete with children, but he’s still, above all, a cop. When he responds to a call from an abandoned warehouse and finds three of his fellow officers shot, one dead, everything in his life recedes except finding the person who is targeting police. 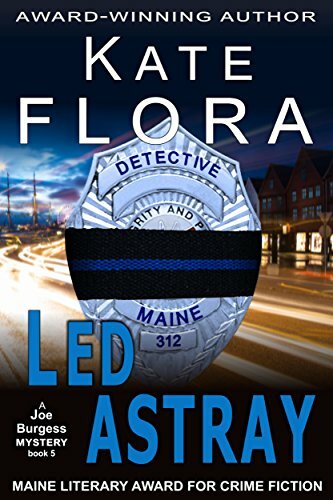 Flora does a masterly job of taking us inside Joe’s head, and life as he focuses on possibilities and investigates a scene with few clues, knowing that he, too, could be a target. 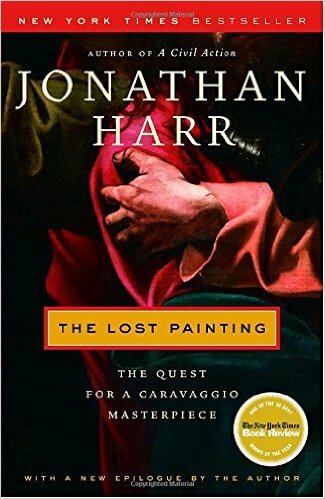 Jonathan Harr’s THE LOST PAINTING is the slightly fictionalized account of two young Italian art history students and the art historians and restorers they connect with in trying to establish the history of — and find — a lost masterpiece by Caravaggio. Harr doesn’t just recount the steps they took … he takes us along to visit dusty archives and two hundred year old auction gallery records, introducing the reader to fascinating people in Italy, England, Scotland and Ireland along the way. For anyone who loves research, history, art, or just a darn good story … this is it. WRITTEN OFF by E.J. Copperman (AKA Jeff Cohen) is the first in a new mystery series, whose premise is mysterious to begin with. What if a man claiming to have the same name … and lifestyle … and speech patterns … and a very similar job … to an author’s sleuth, arrives at her doorstep explaining that three mystery authors have been killed and he needs her insights and help to solve the crime … before she becomes the fourth victim? Is he crazy? Is she? Who is this man? 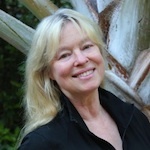 And … why are mystery authors being targeted? 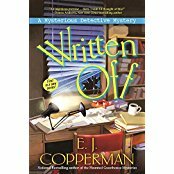 Copperman/Curtis always writes with wry humor, and WRITTEN OFF is light, fun … and yet … mysterious. 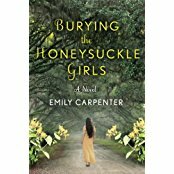 Emily Carpenter’s BURYING THE HONEYSUCKLE GIRLS is poignant and gripping. What if you found out your mother, grandmother, and great-grandmother all died when they were thirty, and your thirtieth birthday is just around the corner. Althea Bell, just out of rehab, is told she doesn’t have much time. To find out why, and whether she can break the pattern, she must investigate her own family history, and, along the way, discover the secrets it hides. With a trace of Gothic tradition, BURYING THE HONEYSUCKLE GIRLS is hard to put down. Clearly I’m fascinated by hidden family secrets from the past, because they’re also the center of B.A. 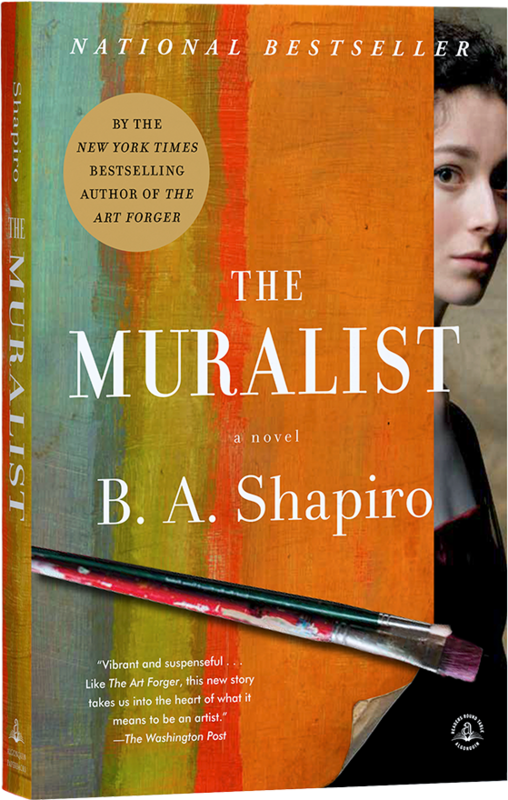 Shapiro’s THE MURALIST. A woman artist working in the WPA (Works Progress Administration) in 1940 and lauded by major abstract expressionists of her time, disappears. Seventy years later her great-niece determines to find out what happened to her and her paintings, and finds unexpected connections to other artists, Hitler’s persecution of Jews in during World War II, and other members of her family. A quest that leads her through the art world of today .. and yesterday. And one more with family history presenting both the mystery … and its solution … is Barbara Ross’ ICED UNDER. (Yes, another friend and fellow Maine Crime Writer.) A mysterious package containing an extremely valuable piece of jewelry arrives in Maine on a snowy winter day, with no return address. Who sent it? Why? And who is the real owner? 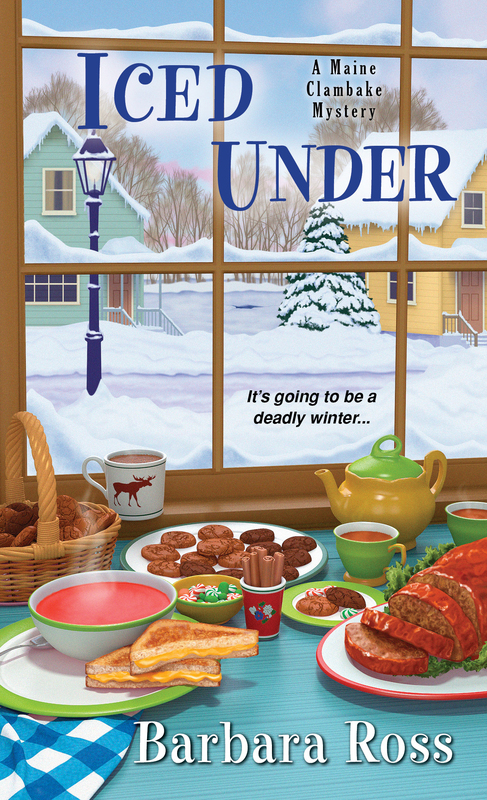 Barbara Ross keeps us fascinated until the end, as secrets are gradually revealed. I’ve read more … and will write about some of those in the future. But, for now … I’m going to find a cozy corner and another good book to take me away from issues of today into secrets of the past … and into the minds of others braver than I am. This entry was posted in Lea's Posts and tagged B.A. 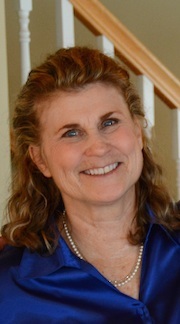 Shapiro, Barbara Ross, E.J. Copperman, Emily Carpenter, Iced Under, Jonathan Harr, Kate Flora, Led Astray, The Honeysuckle Girls, The Lost Painting, The Muralist, Written Off. Bookmark the permalink. Have been going through the Anne Perry’s and the Elizabeth George’s at the library this month. Signed up for a reading challenge at the library and have to read 30 books by the end of February. Have also read the new Mary Higgins Clark with Alafair Burke The Sleeping Beauty Killer. Also have discovered a new author, Meredith R. Stoddard. Read her book The River Maiden and really enjoyed it. Have been crafting this winter too. Have a number of coworkers who are expecting so am making baby blankets and may make some cross stitch bibs too. It has been a productive winter for me so far on the reading front and the crafting front. Just finished Ingrid Thoft’s latest Duplicity which I quite enjoyed. Is part of a series with an interesting female PI. I’m adding some of those to my reading list! I’ll admit I love Anne Perry’s work, but haven’t read several of her latest. Same with Elizabeth George … and don’t know the others you mentioned, Crystal and Dottie. Will check them out! Oh my gosh- more books to add to the pile! The blessing and the curse of the bookworm! I’m reading The Secrets of Wishtide, an historical that takes place in 1850’s England. I’m thoroughly enjoying it. However, the sad fact is that the font is too small in modern novels (it has nothing to do with the state of my eyes!) and I’m having to haul my reading glasses to bed at night. This shall not end well for the glasses, I am sure. And as to bravery- I think you’re quite brave for living in an old house in Maine- so perhaps bravery is in the eye of the beholder! Fun post, Lea. By sheer coincidence, I’m reading Written Off myself right now and enjoying it. Can’t wait to see how the premise of that character-come-to-life works itself out. Did you know there was a series that started back in 2002 with a similar (but different) premise? In Kasey Michaels’ Maggie Needs an Alibi, the mystery writer protagonist writes a series set in Regency England and two of her characters suddenly appear in her apartment . . . in full Regency dress, yet. There is no explanation for why they come to life. They just do, and they are in the real world to stay. The adapting they have to do to the 21st century makes for some amusing situations, and of course there’s also a murder to solve. If I remember right there were five or six books in the series. After this post my reading list is getting longer also! Thanks. I just picked up “Written Off” and “The Whole Cat And Caboodle” by Sophie Ryan at the library. On top of my TBR pile are “Iced Under” and “Dangling By A Thread” and I’m anxiously awaiting “Garden Of Lamentations” by Deborah Crombie. It’s my early birthday present to myself. I’m also re-listening to a couple of The Cat Who books by Lilian Jackson Braun. Just finished “The Cat Who Knew Shakespeare” and started “The Cat Who Sniffed Glue”. The reader is excellent. When I’m feeling ruffled and out of sorts, a visit 400 miles North of everywhere helps restore my equilibrium.